Hashtags are an integral part of finding and joining social conversations on a number of platforms, including Twitter, Instagram, and Pinterest. If you’re a brand, hashtags can help you to build brand awareness, connect with your target audience, and start and participate in conversations related to your products. They’re also essential for community building, as well as for the creation and curation of user-generated content. In order to monitor and track the hashtags associated with your brand, check out Pixlee’s list of the 5 free hashtag analytics tools that every brand needs in order to never miss a trending topic or brand ambassador mention ever again. If you’re choosing or creating a branded hashtag, RiteTag will show you relevant hashtags, along with information about reach, exposure, and retweets. WithRiteTag, you can get instant feedback on your hashtags and get recommendations of hashtags not to use. This tool is very flexible and it can give you analytics on any hashtag that you are following, not just the ones that you’re actively using. Keyhole lets you track Twitter and Instagram hashtags in real-time. This hashtracking tool will tell you the number of posts that contain your hashtag within a specific time period, how many users are using it, and each post’s reach and number of impressions. The tool will show you a timeline of when your hashtag was first used and when it started to receive engagement. Keyhole lets you run a test search on its home page and offers a free trial, after which it has multiple paid plans. Instagram has an active and engaged community of users posting and sharing content about the brands that its users love. Pixlee developed a free Instagram analytics app to help you easily track hashtags and search hashtags. 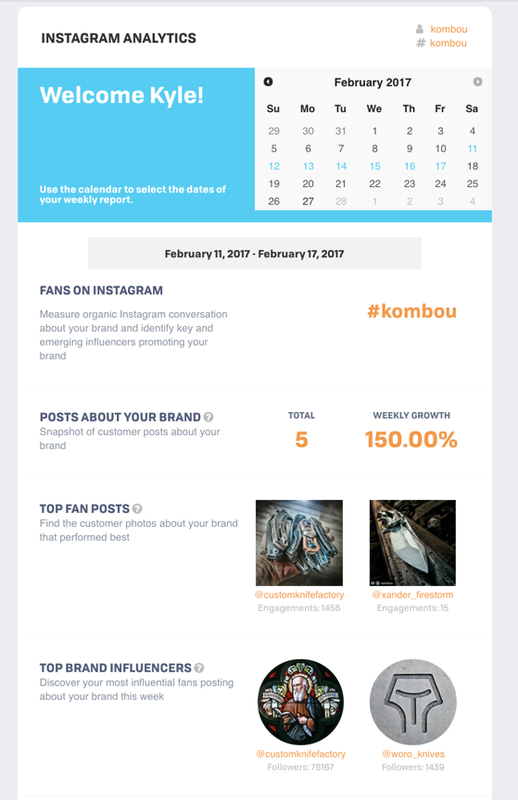 Pixlee’s Instagram analytics tool offers weekly reports on your hashtag statistics, and includes analysis on both your brand-created content and social media community-created content. Pixlee’s free Instagram analytics also has great social listening features to help monitor conversations about your brand and to identify its top influencers. You can sign up and get started here. Hashtagify will give you all the information that you need to know about how your brand hashtags are being used– including the top influencers that are using them. This tool will also show you a wall of posts using the hashtag and the hashtag’s usage patterns. The tool will display the times of day your hashtag is most used, along with information about how it performs over time and projections for how it will be used in the coming week. Hashtagify will even show you common variations of the hashtag of your choice. TweetReach’s free plan lets you access 100 free “snapshots” that give you a quick hashtag analysis. The tool gives you your top hashtag’s estimated reach, impressions, and contributors. TweetReach’s paid versions will also give you analytics on Instagram and Facebook in addition to Twitter. The hashtag tracking tools on this list can help you with hashtag analysis, including researching hashtags from both your brand and customers. Monitoring your hashtag stats and results will enable you to continue to foster better social conversations, generate more customer-created content, and build a stronger community on multiple platforms. Considering that many of these tools are indefinitely free, they’re definitely worth the time investment. This is an updated version of a post that originally appeared in March, 2017. “If you’re a brand, hashtags can help you to build brand awareness, connect with your target audience, and start and participate in conversations related to your products.” Using trending hashtags in your niche as well as posting relevant content can help you improve your client engagement and attract followers into your social media page.